Cola is a senior cat who was left in need of a new home after her loving owner passed away with no friends or family able to help with Cola or her buddy Coca. The adjustment to life in foster care was tough on Cola, and she was clearly stressed, suffering from digestive issues and a bit cranky at times. Thankfully, with the patience of her kind foster family, Cola has come around and is ready to find a permanent home. Cola enjoys attention and affection from her foster family now that she's settled and relaxed. She loves hanging out by windows, soaking up sun and keeping an eye on the goings-on in the neighbourhood through. Cola is most receptive to pets and cuddles but is also fine to chill out in the pleasure of her own company. 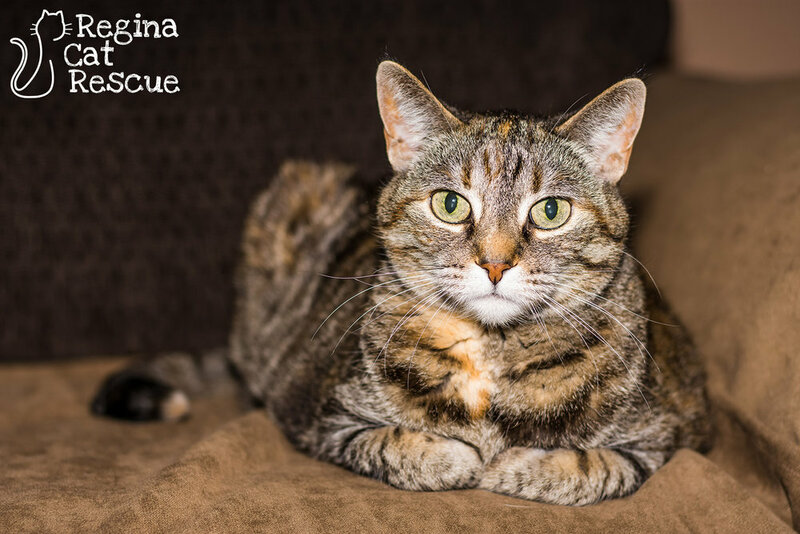 Cola would do best in a quiet home without young children or multiple pets. Cola still has lots of affection to offer a kind adopter willing to take a chance on a "golden" girl! 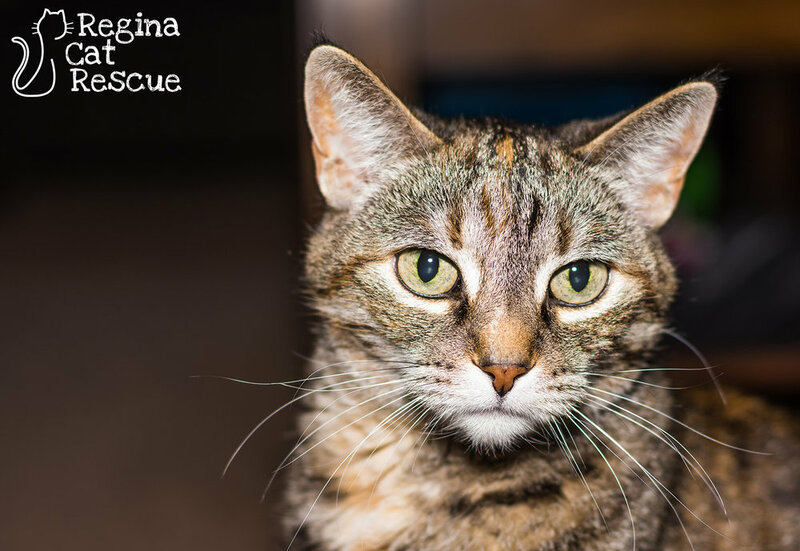 If you are interested in Cola, click here to view our adoption contract and click here to complete an adoption application or email the RCR Adoption Coordinator at adoptions@reginacatrescue.com for more info.